Between Sidmouth and Beer the geology is strongly influenced by a gentle easterly dip in the layers of the rocks that are present. The result is that as you travel east the visible rocks change from those of the Triassic Period (230 million years) to the more recent Cretaceous (70 million years ago). This reflects the unique ‘walk through time’ that can be experienced along the length of the Jurassic Coast World Heritage Site, of which this is a part. 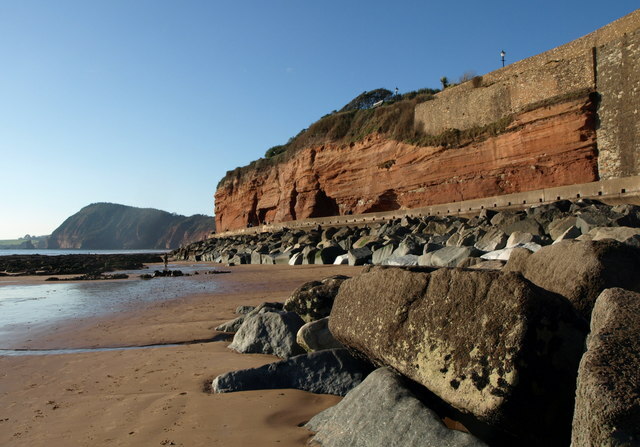 Just east of Sidmouth are the Triassic Mercia Mudstones and these bring a distinctive red colour to the rocks. They were deposited in temporary lakes and rivers in a desert environment. These mudstones are then capped with yellow Upper Greensand and white Chalk (this from the younger Cretaceous Period; ‘Creta’ is Latin for ‘chalk’). Both these rocks were laid down in a marine environment, the chalk mainly consisting of the skeletons and shells of countless numbers of organisms, most of them microscopic. 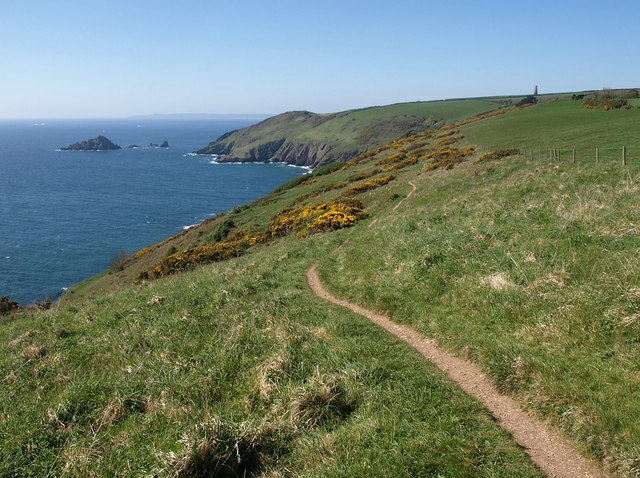 On foot: the South West Coast Path runs through this area, please take care. By bike: there is an inland on-road signed cycle route between Sidmouth and Beer. By bus: the X53 bus runs regularly, see www.journeydevon.info for latest times. By road: From the A3072 follow signs to Sidmouth seafront or continue east along the A3072 and follow signs for Beer. Sidmouth and Beer have all facilities. Some sharp climbs and desents, take care when following the coastal footpath. OS grid reference: SY 130873 - SY 236899. As you move towards Beer the easterly dip increasingly brings the pale sands of the Upper Greensand and its overlying Chalk down to beach level and by Beer Head the entire cliff is taken up by these Cretaceous rocks. All things being equal, you could expect to see Jurassic rocks lying above the older Triassic material and below the younger Cretaceous deposits. The Jurassic Period began about 206 million years ago. However, you will notice no reference above to Jurassic rocks between the Triassic mudstones and the Greensand and Chalk of the Cretaceous Period – they are missing from the site and have been eroded away. This kind of break in the geological story is known as an unconformity. The coastline is part of an Area of Outstanding Natural Beauty, Site of Special Scientific Interest and World Heritage Site.